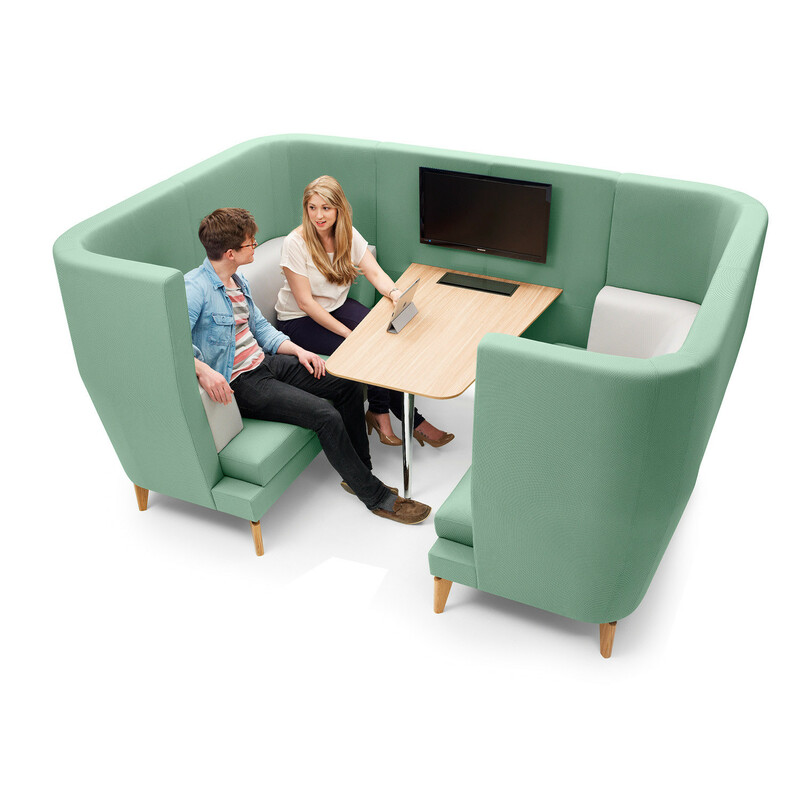 Entente High Back Sofa collection of soft seating available a single high back sofas or as a highback work booth to create zoned off areas in open office environments for staff to hold meeting or work in private. 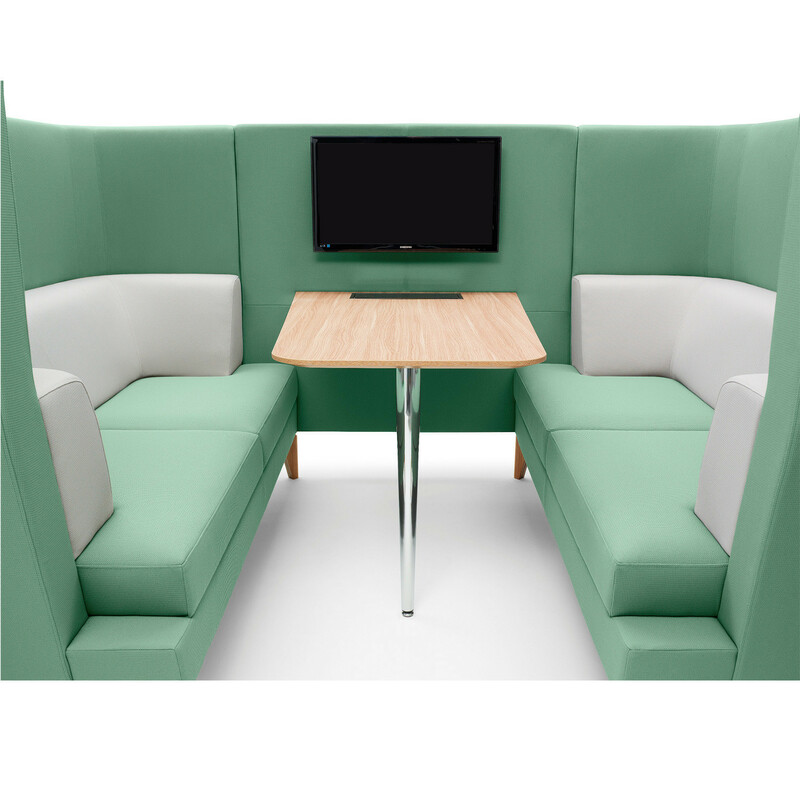 Entente High Booth consists of two high-back sofas surrounding an oak laminate table with an interconnecting panel, becoming a place to enhance collaborative work in the office environment, have informal meetings or simply get inspired away from the noise. 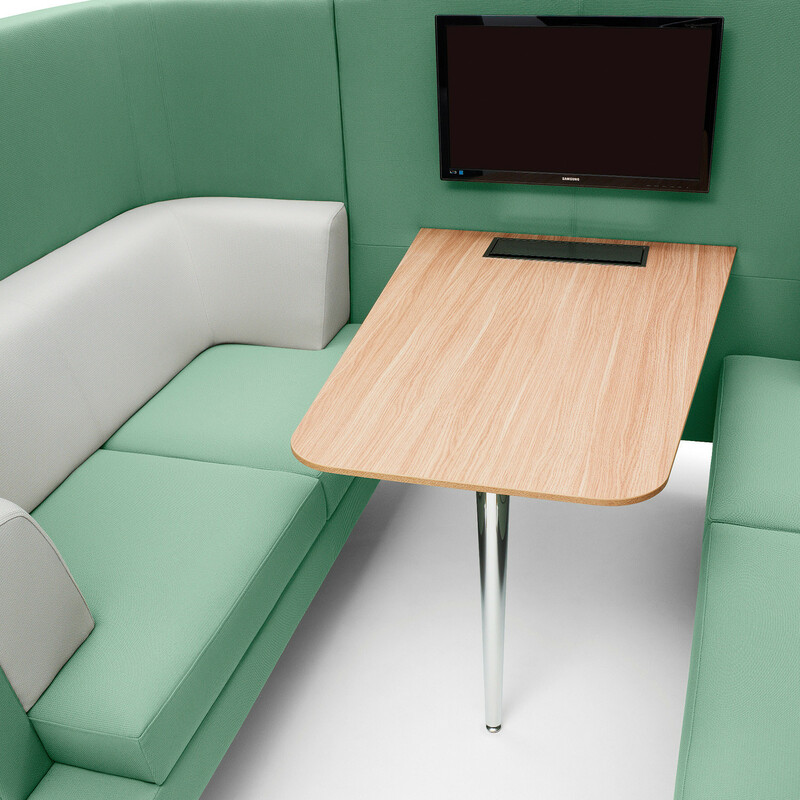 Entente Modular Seating System contains an upholstered sofa (CMHR foam seat, back and lumbar) with an internal frame made of hardwood and legs in polished aluminium (European Oak legs optionally available). 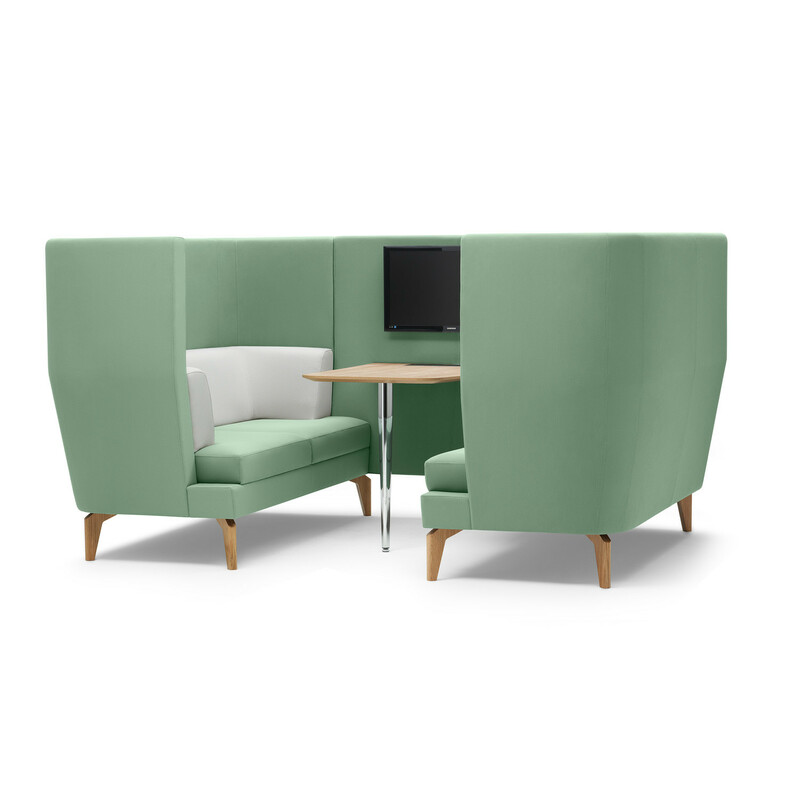 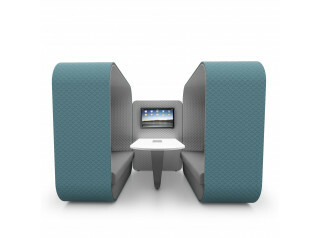 Upon request, the Entente High Booth can be completed with a power and data system. 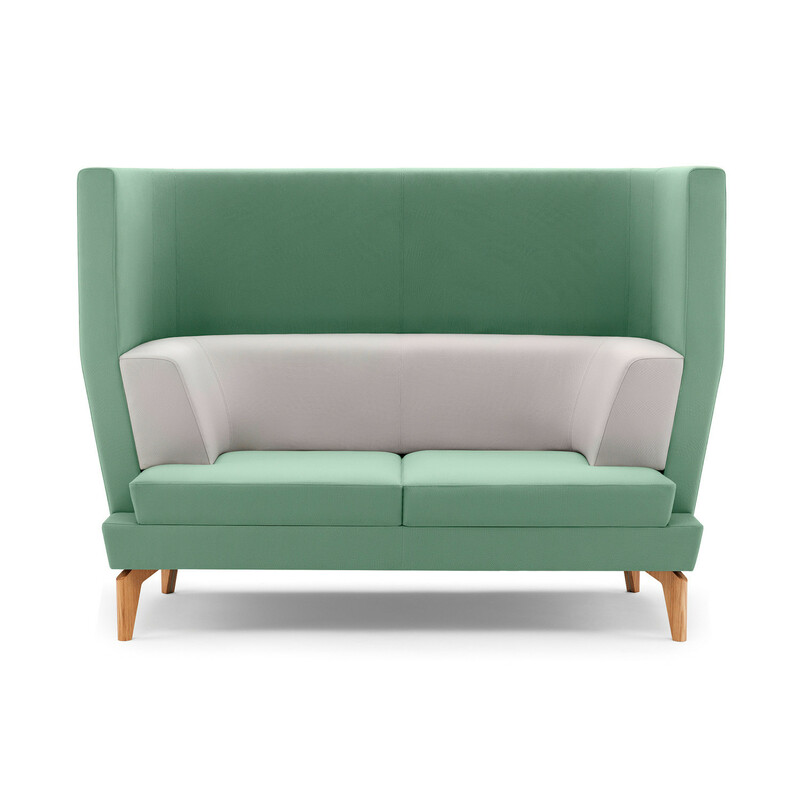 You are requesting a price for the "Entente High Back Sofa"
To create a new project and add "Entente High Back Sofa" to it please click the button below. 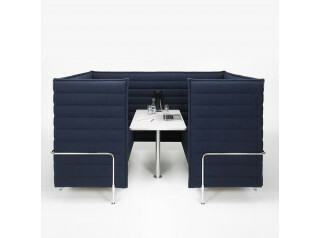 To add "Entente High Back Sofa" to an existing project please select below.